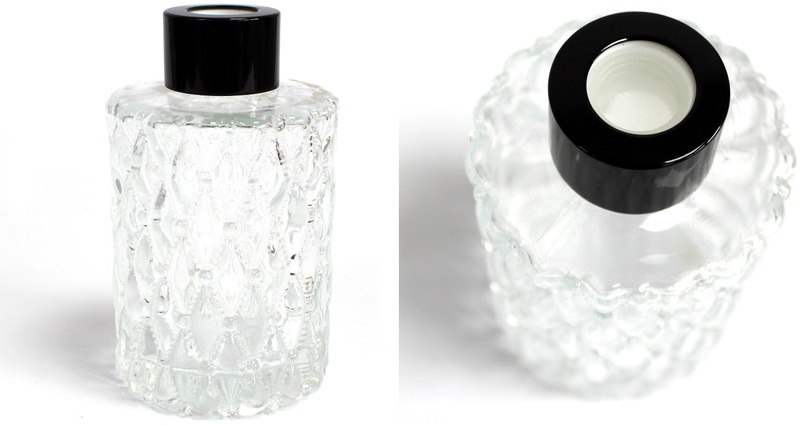 Top quality round fancy reed diffuser glass bottle, complete with a plastic travel bung/plug and a black gloss finish diffuser cap. These reed diffuser bottles are made from heavy glass that have a fancy finish, very stylish and would look great in any home or office. 1 x Round Fancy Glass Reed Diffuser Bottle.